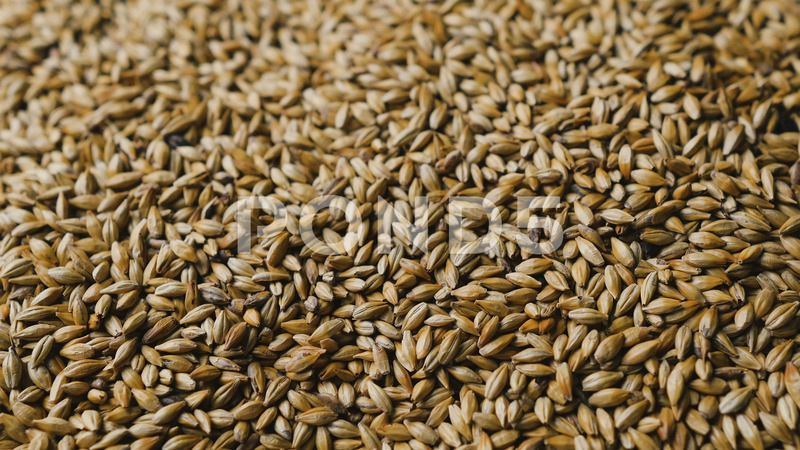 Description: Barley seed. Lot of fresh grains of wheat close-up. Wheat background. View from the top. Malt for beer production.